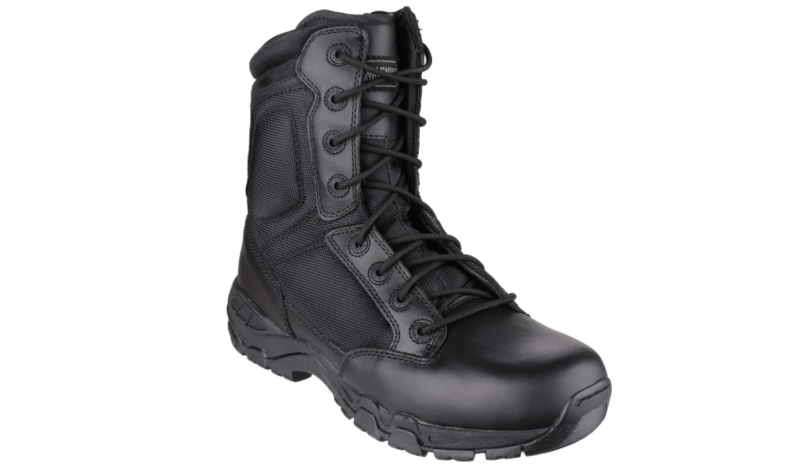 Another fine quality boot made by Magnum – The Magnum Viper 8.0 Side Zip Unisex Police Boots. These quality boots have high traction rubber soles to provide high performance grip and a special lining to keep your feet dry. This Magnum Viper 8.0 Boot has reinforced toe box and foam ankle rolls for added protection. The Boots provide you with a side zip that means it is easy to remove the boots in a fast and efficient manner. The Magnum Viper Boot is SRA slip resistant and will provide comfort for your feet with shock absorbing comfort insole – Meaning you can get on with you job! Get a quality pair of boots for less - These boots will do the job you need and keep your feet cool and comfortable. Check sizes for discount.